In 1994 I enrolled in a postgraduate course in philosophy at a British University. On my first day at the University I had to complete a few routine administrative duties such as registering my name with the philosophy department and meeting my supervisors. I was also told that I had to join the student union. Being a subservient type, I walked over to the Student Union hall where I soon realized that the task was slightly more complicated than I had expected. There were a plethora of student unions to choose from: The Black Student Union, The Asian Student Association, The Socialist Students, The Gay Student Society and more. Confused, I asked for assistance. They asked where I was from. When I told them “Israel,” I was told that the “Jewish Student Union” was my home. It was then, at the Student Union Hall, that I first encountered the identity split between Israel and the Jewish Diaspora. It would take some time before I was able to define this binary tension in philosophical or post political terms and before I understood the Jewish dilemma in terms of Nationalist/Identitarian dialectics. Two decades later, the political battle now going on in America is basically an extension of that internal Jewish debate. Back in 1994 I didn’t see any reason to join the Jewish Student Union. I had never identified ‘as a Jew’ and Judaism meant little to me. Israel was my place of birth. My ‘identity’ as I then saw it was geographically oriented. Fortunately, I managed to complete my postgraduate course without becoming a ‘union member.’ But my thoughts about that morning at the student union hall have evolved into a few controversial books and hundreds of papers on ID politics and the current Identitarian dystopia. In 2011 I wrote The Wandering Who? A Study of Jewish Identity Politics. The premise of the book was that if Israel defines itself as the ‘Jewish State’ then we have to dissect the meaning of the J-Word. We have to grasp how Judaism (the religion), Jews (the people) and Jewishness (the spirit, ideology and culture) relate to each other and how these terms influence Israeli politics and the activities of the Jewish Lobby around the world. 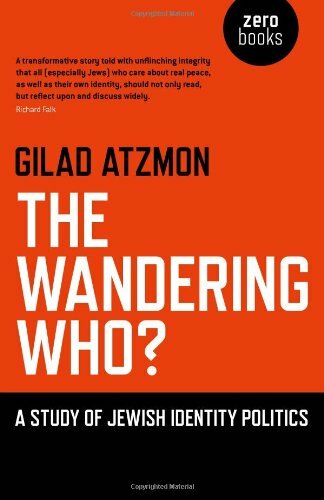 Instead of studying ‘Zionism,’ an archaic term that is not relevant to most Israelis, my book focused on Jewish identifications. I did not address the problematic question of ‘who and what Jews are,’ I tried instead to find out what those who call themselves Jews identify with. While this question is certainly germane to an understanding of Israel and the Middle East conflict, it is also crucial to an understanding of the current American dystopia. Instead of asking ‘who Americans are’ let us explore what Americans identify with. In the post-political era, America is divided into two camps, let’s call them Americans and Identitarians. Americans see themselves primarily as American patriots. They often subscribe to a nationalist populist ideology and, like the Israelis, identify with a piece of geography. On the other hand, Identitarians are primarily liberals and progressives. They identify themselves in biological and sociological terms, and they see themselves first as LGBTQ, Latino, Black, Jewish, feminist etc. Their bond with the American nationalist ethos is at most secondary and often non-existent. This division in America between ‘nationalism’ and ‘identitarianism’ is similar to the dichotomy I observed at the student union hall in 1994. In fact, Israel has become a prime model for American nationalists. Similarly, it is Jewish progressive ideology that inspires Identitarians globally and in America in particular. It is the pervasiveness of Jewish ideologies within both nationalist and Identitarian discourses that sustains the dominance of Jewish and Israeli political institutions in American politics. The Israeli Lobby’s hegemony over American foreign policy and its force in advocating policies that favor Israel has been widely recognized. Numerous studies on the topic have been published, such as: The Israel Lobby and U.S. Foreign Policy (Prof John Mearsheimer and Prof Stephen Walt), The Power of Israel in The United State (Professor James Petras). Alison Weir’s website, If Americans Knew routinely presents a devastating chronicle of Israeli intervention in American politics. The Washington Report on the Middle East Affairs has been producing outstanding work as well. The crucial question is, why have Americans let this happen? My study of Jewish ID politics suggests that America isn’t just influenced by one Jewish lobby or another. The entire American political-cultural-spiritual spectrum has been transformed into a internal Jewish exchange. Most American do not see the true nature of the battle they participate in and, for the obvious reasons, their media and their academics do not help. It is more convenient to keep Americans in the dark. Despite this American schism, Israel and its Lobby are somehow able to influence both sides, managing to finding pathways to the secluded corridors of both parties. Although Democrats and Republicans can no longer talk to each other, it seems that both are happy to talk to Israel and the Lobby. And it is at AIPAC’s annual conference that these political foes compete in their eagerness to appease a foreign state. This anomaly in American politics demands attention. We can see that Israel, Trump and his voters have a lot in common. They want militant anti immigration policies , they love ‘walls,’ they hate Muslims and they believe in borders. When alt right icon Richard Spencer described himself on Israeli TV as “a White Zionist” he was actually telling the truth. Israel puts into practice the ideas that Spencer and Trump can so far only entertain. But the parallels between Israel and the Trump administration’s Republican voters is just one side of the story. 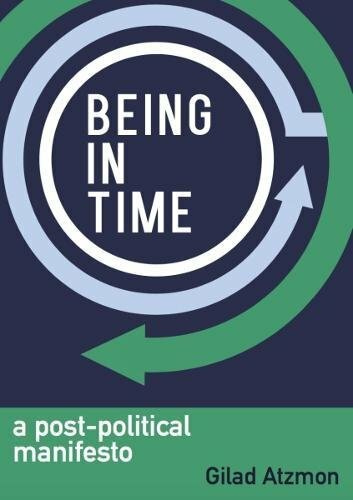 In my recent book, Being in Time – A Post Political Manifesto, I point out that while the old, good Left tried to unite us by insisting that it was not important whether one was Black, a Woman, a Muslim, a Jew or Gay; in the class war, we were all united against capitalism. It was the new Left that taught us to speak ‘as a’: as a Jew, as a Gay, as a Black and so on. Instead of being one people united in the struggle for justice and equality, within the post political realm we are pulled into endless identity battles. Seemingly, this Identitarian revolution has been inspired by a few Jewish ideological and philosophical schools including, most importantly, the Frankfurt School. Truth must be said, when it comes to ID politics, Diaspora Jewish ideologists are often slightly more advanced than others, not because Jews are more clever than anyone else but simply because Jews have engaged in identity politics far longer than anyone else. While Gay identity politics is about four decades old and Feminism is maybe a century old, Jewish identity politics started in Babylon two and a half millennia ago. In fact, Judaism can be realised as an exilic Identitarian project. It deliberately and carefully sustains Jewish cultural, spiritual and physical segregation. Although Jews often drop their religion and dispose of God, many cling to Jewishness. For one reason or another, Jews often choose to operate within Jews- only political cells such as Jewish Voice for Peace, Jewish Voice for Labour and so on. These Jewish bodies tend to preach inclusiveness while practicing exclusivity. So it is hardly surprising that Jewish Identitarian philosophy and Jewish Identitarian success provides the model that inspires most, if not all, Identitarian politics within the New Left milieu in general and the current Democratic Party in particular. This isn’t the place to discuss at length or in depth the reasons behind Jewish identitarian success, however, it should be mentioned that while most Identitarians are taught to celebrate victimhood, to blame others for their misfortune, Jewish Identitarianism has a subtle dynamic balance between victimhood and entitlement. The story of Jewish political strength in America doesn’t end there. A New York Jew can easily metamorphosize from an hard-core Identitarian into rabid Zionist settler and vice versa, but such a manoeuvre is not available to ordinary Americans. White nationalist Richard Spencer can not make the political shift that would turn him into a progressive or a liberal just as it is unlikely that a NY transsexual icon would find it possible to become a ‘redneck.’ While Jewish political identity is inherently elastic and can morph endlessly, the American political divide is fairly rigid. Jewish ideologists frequently change positions and camps, they shift from left to right, from Clinton to Trump (Dershowitz), they support immigration in their host counties yet oppose it in their own Jewish State, they are against rigid borders and even states in general, yet support the two state solution in Palestine (Chomsky). Gentiles are less flexible. They are expected to be coherent and consistent. It was this manoeuvrability that made PM Netanyahu’s 2015 speech in front of a joint session of Congress a ‘success,’ although it might well have been considered a humiliation for any American with an ounce of patriotic pride. As we wellknow, Bibi can communicate easily with both Republicans and Democrats just as he cansimultaneously befriend Trump and Putin. He deploys snipers at the Gaza border with orders to kill while considerately peppering his statements with LGBTQ human rights advocacy. Not many Americans have dared to address this topic, but I believe that there are some who, by now, can see the situation clearly. It was the Israeli in me who saw the disparity between ‘Israeli’ and ‘Jew’ at the Student Union Hall because I was raised as an Israeli patriot. I was trained to love and even die for the soil I mistakenly believed to be mine. As an Israeli, I was also trained to think tribal but speak universal, and I learned how to whine as a victim yet exercise oppression. But at a certain point in my life, around my thirties, I started to find all of it too exhausting. I wanted to simplify things. I demoted myself into an ordinary human being.